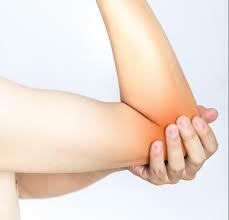 To prevent Tennis Elbow is easy… Do not overuse your muscle. If you are doing repetitive work of sports, start with light weight and follow instruction. There are some exercises to strengthen your arm muscles. Remember all the movement has to be slow. Grip a soft ball in the hand. Squeeze and release a soft ball for 2-3 minutes, 3-4 times a day. Hold your arm out straight, palm down. Use your other hand to hold the back of your this hand. Make circles with your wrist, 5 in each direction. Straighten your elbow and do 5 more circles in this position. Stretch out your elbow and rotate the wrist slowly. Try to make maximum muscle stretch. If you interested in this technic, please contact the therapist within our clinic.